I'm so excited to finally share this little gift I made for my sweet friend, Claudia's, birthday! I, of course, had to wait until the birthday girl received her package, but now that she's officially another year old, I can share. 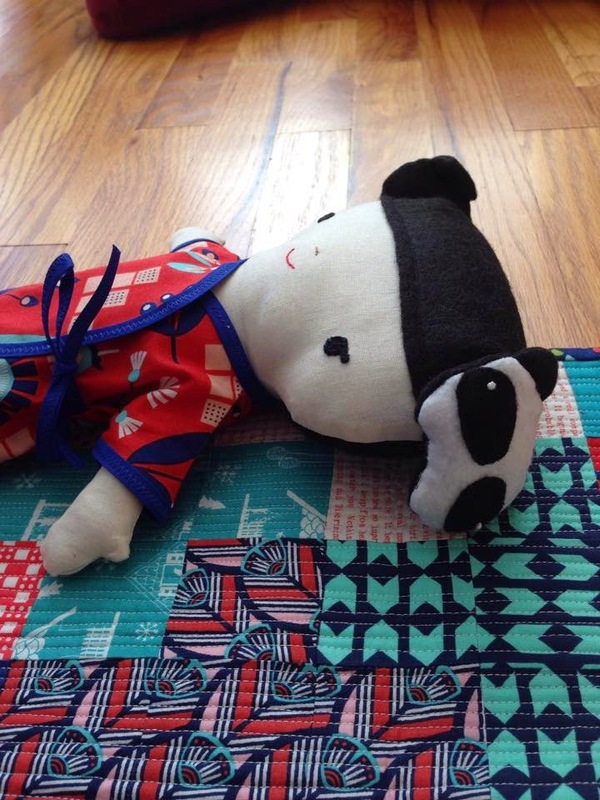 The pattern for the sweet little doll, Panda Buns (cuz her little hair buns are panda faces!!!) is from the book Wee Wonderfuls by Hillary Lang—one of my favorite books. 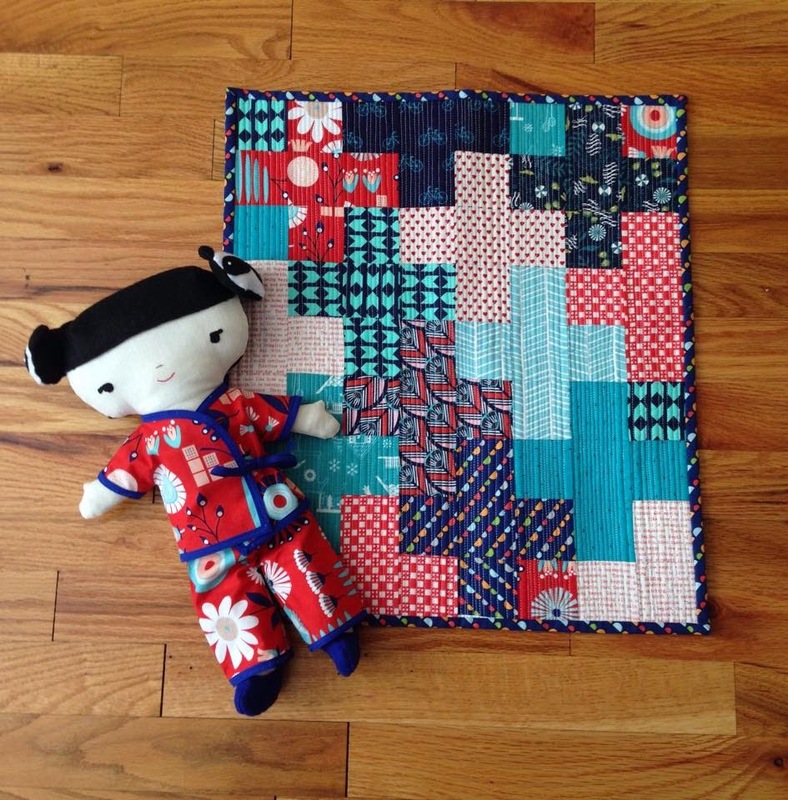 I decided the doll needed a quilt to keep her comfy on her way to her new home in North Carolina, so I made a coordinating mini plus quilt to send with her. This quilt is made with 2.5" squares, and finishes at 16" x 18". I really loved how this all turned out, and I had a total blast making this sweet doll! I haven't done much sewing like this, so it was a bit out of my comfort zone, but I had so much fun!! I think there are more dolls to be made in my future. **Thanks to birthday girl, Claudia ,for allowing me to use some of her photos for this post!!! as soon as I saw the doll, I was pretty sure it was a Wee Wonderfuls pattern. so cute! 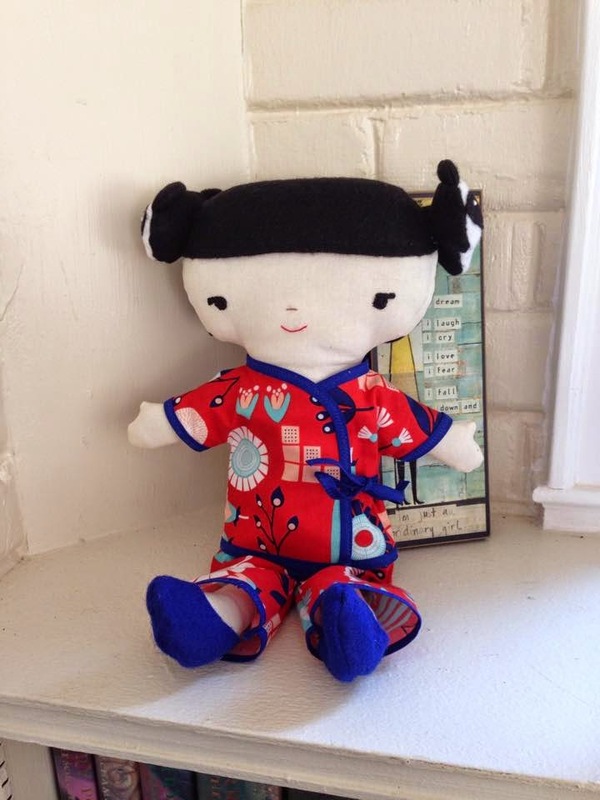 doll making is every bit as addictive as quilting. Isn't it?? I'm in love with making dolls and stuffies! And Wee Wonderfuls is such a great book - - great instructions. Polka Baby Polka Pattern Release!